Whilst filming this series I met many wonderful people and visited lots of fantastic places, some for the first time, others not. 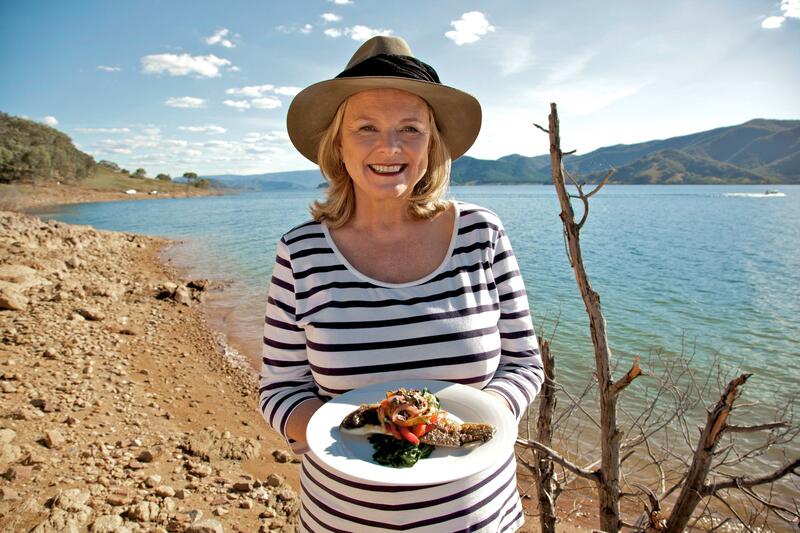 Australia has an endless wealth of exceptional produce and places and behind all of them are equally exceptional people. In this week’s episode of Taste of Australia I pay homage to a few of these folk and their accomplishments as we take a look at some of Australia’s heroes. I first met Neil McGuigan the night Halley’s comet was visible in 1984. He was just engaged to Debra and we’ve been friends ever since – albeit with sporadic meetings over the years. The McGuigan name is synonymous with both the Hunter Valley and the history of winemaking in Australia, and Neil started at five when he was small enough to get into the tanks to clean them out! 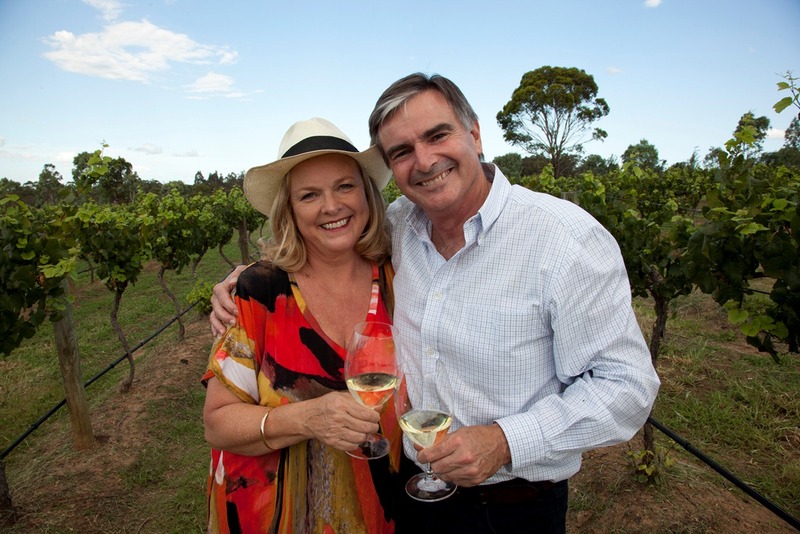 He is now the CEO of Australian Vintage Limited with labels like McGuigan, Tempus Two and Nepenthe in its portfolio. 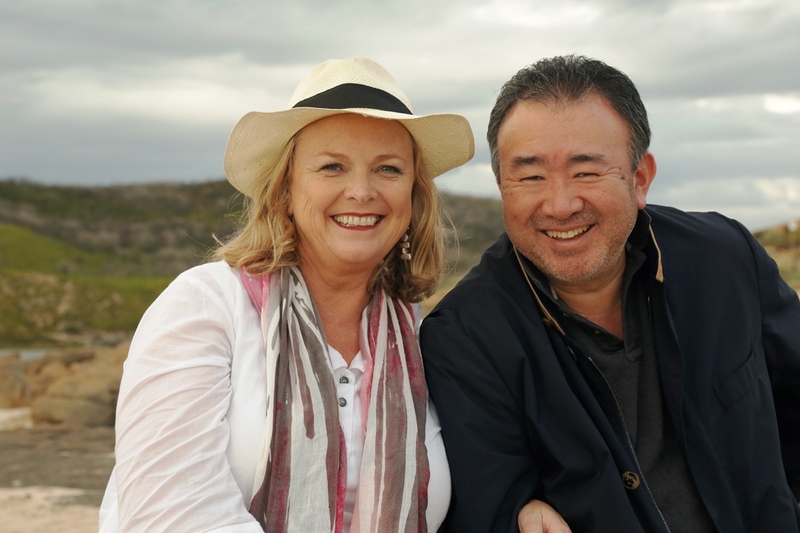 He is great fun, as you will see on camera and has been named International Winemaker of the year an impressive three times. 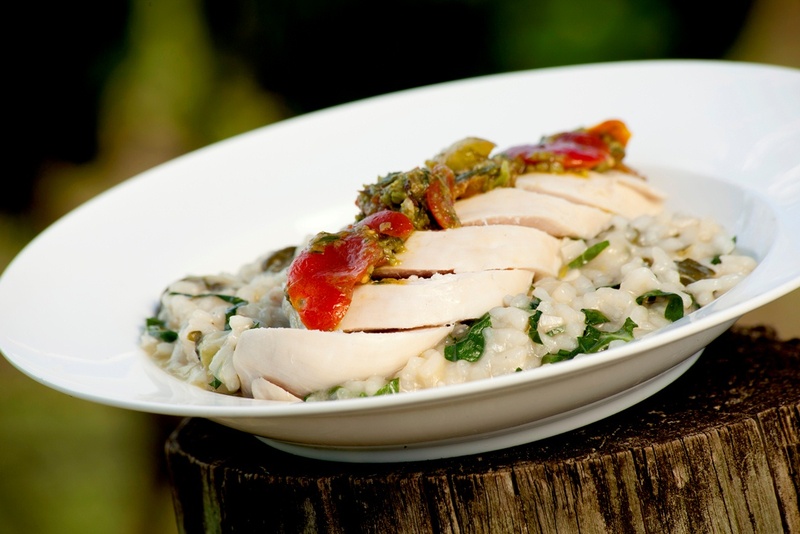 He took me through the wine-making process before I took charge seeking his help as I cooked Lemon poached chicken with silverbeet risotto and herb dressing. It matched his trophy winning 2005 Bin 9000 Semillion perfectly. When you think about heroes of Australian food, farming and produce, it’s often easy to pick out the big names of the business but there are plenty of Australians who have dedicated their livelihoods to our country’s agriculture and food industries. 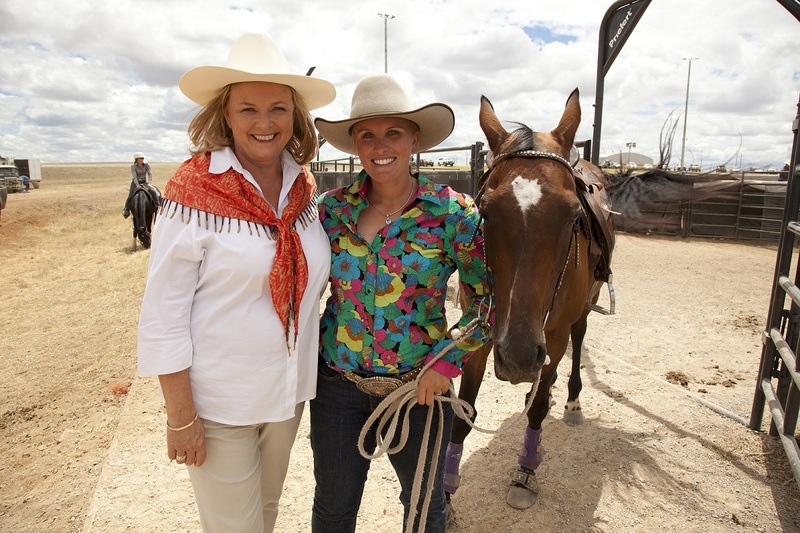 Every year these sometimes unsung heroes come together for a fortnight of competitions, festivities and fun at the Sydney Royal Easter Show so I headed to the showground to enjoy some country life in the big city. I’ve been giving cooking demonstrations at the Show for more years than I care to remember and it is dear to my heart and am honoured to be a Vice President of the Royal Agricultural Society which runs the Show. It’s in my blood as I have been going since I was a small child and I never tire of all that it offers. The Fresh Food Dome is always a hub of activity as food producers offer delicious morsels to tempt visitors with their produce – and is also home to the Taste of the Show Theatre Kitchen. The District Exhibits never cease to amaze me – nowhere else can you see five different regions compete not only for the quality of their produce, but the artistry with which they are displayed around a different theme each year. Whilst I’m enjoying the fine foodie delights of the show, there are many nervous bodies awaiting judging – from dog shows to alpaca appraising, Australia’s finest farmyard animals flock to the Easter Show in search of their own prestigious blue ribbon. 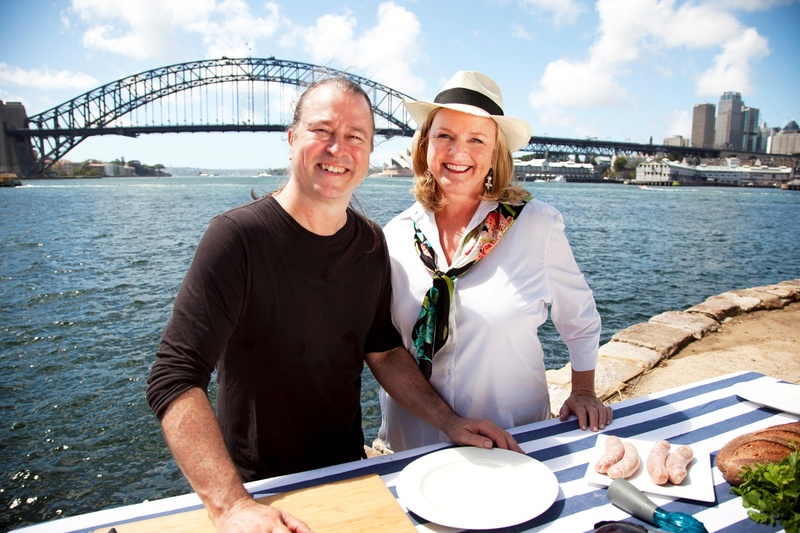 I am completely devoted to the woodchop – it is such an honest forthright Australian competition and it was always a family favourite. 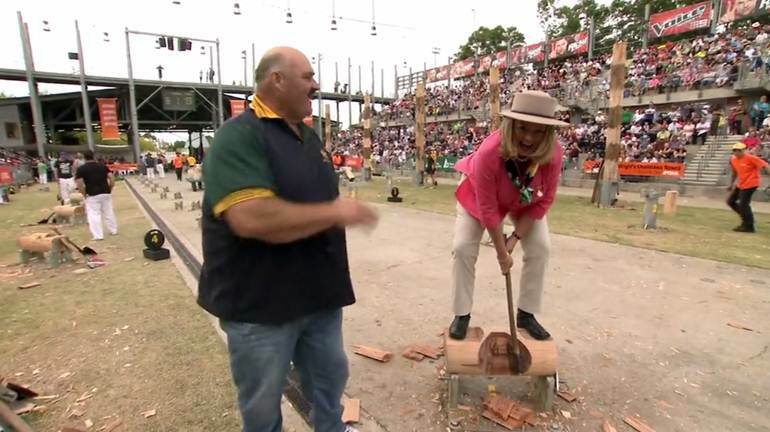 I’ve come to know world champion axeman David Foster quite well – but I didn’t know he would offer the challenge to actually chop wood in the arena! We did agree that I would stick to cooking and he would stick to chopping – but it was a fabulous experience and below is a picture to prove it! Then, of course, I couldn’t miss The Grand Parade when all the prize winning animals parade on the main arena in the most spectacular showing of diverse breeds in one space. It is testament to skill and animal handling skills that this can be done on such a large scale. From one show to another, you may not naturally associate food with Mercedes-Benz Fashion Week Australia but as I discovered, the annual event offers a lot more than runways and models – though I was delighted to get a peak backstage – it’s fascinating viewing! Mercedes-Benz Fashion week Australia is a celebration of excellence featuring fashion, but as I found out, also food and wine. Tempus Two wines shares a hip image of affordable luxury, style and elegance with talented young designers AJE – Adrian Norris and Edwina Robinson, so what better than to watch beautifully clothed women sashay down the runaway then finish up with a glamorous dinner matched with wines by Tempus Two winemaker Andrew Duff? The stylishly labelled Copper Series wines looked great in this fashionable location! Another drink I am rather partial to is coffee – in fact as a nation we have embraced coffee culture with open arms and have grown to expect only the best beans, the right roast and grind, the right milk to coffee ratio, in short we want the perfect cup! We have a lot to thank Italian migrants for our advanced coffee culture. Cantarella Brothers were one such family and now the CEO Les Schirato is at the helm making Vittoria Coffee a household name. He has been a friend of mine also since the early 1980s. In fact when I bought a café in 1989 the first thing my partners and I did was to ring Les to get the right coffee and equipment into it on day one! We never looked back. Little wonder Les has been dubbed ‘Australia’s Coffee King’ with his commitment to excellence, training and consistency of product. Mind you he started at the bottom, working part-time during the school holidays. After a stint elsewhere he rejoined Cantarella Bros in 1981 in sales and marketing positions, introducing Vittoria Coffee into supermarkets at a time when coffee meant an instant beverage, and espresso coffee was considered too strong for the Australian palate! Today the pure coffee category is worth over $135 million. He showed me the coffee roasting process in action at the Vittoria factory in Silverwater . Then I headed back to school – well to coffee college to learn about the artistry and science of being a barista with a hands-on lesson in roasting, cupping and the art of espresso making! After meeting a big hero of the coffee world, I met a lesser known hero of the slow food world – quite literally! 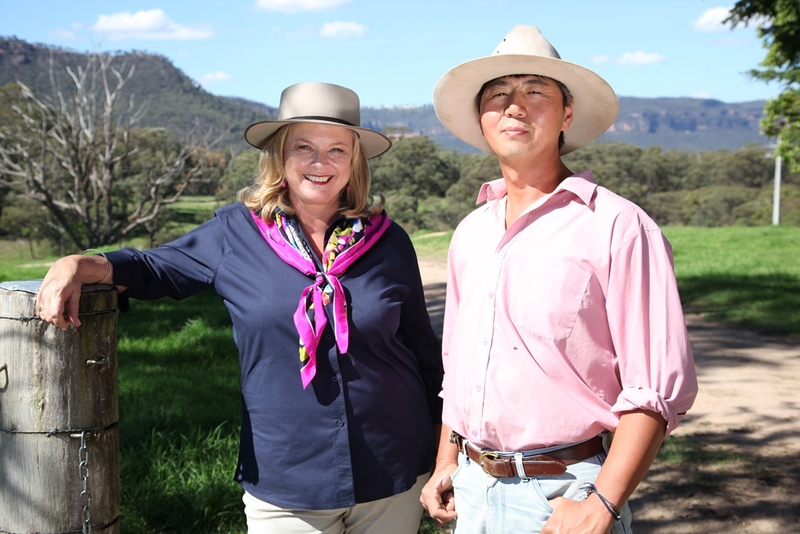 I headed back to the Hunter Valley to meet Helen Dyball who runs a snail farm! Snails Bon Appetite has been in operation since 2000. Snails Bon Appetite carefully breeds the domesticated pedigree of edible snails over many generations of off spring. Snails are fed a strict diet – rich in calcium and other minerals to ensure a toxin free, healthy, plump and delicious Escargot. 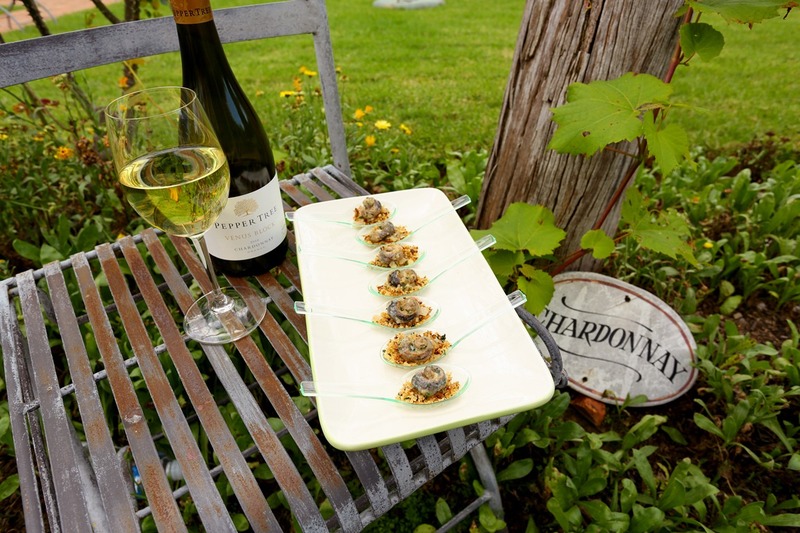 I couldn’t resist taking some to make a canapé – Snails in a beautiful herbed cream sauce on garlic brioche crumbs. The beautiful Pepper Tree Winery was an idyllic venue to cook and then try them with the 2010 Venus Block Chardonnay.